Road closure between Middleburg, Loskop dam due to Marathon - SABC News - Breaking news, special reports, world, business, sport coverage of all South African current events. Africa's news leader. More than 6000 athletes will be battling it out in various categories. 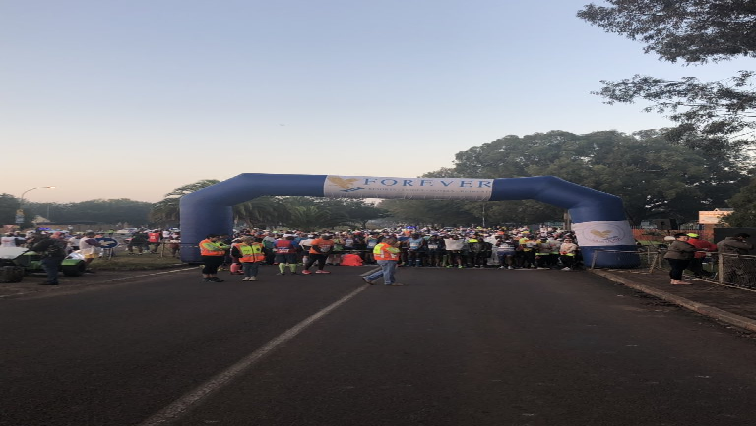 The road between Middleburg and the Loskop Dam in Mpumalanga will be closed for almost half a day due to the Forever Resorts Loskop Marathon series to be held on Saturday. More than 6 000 athletes will be battling it out in various categories, the 50km Ultra Marathon and the 21km Wild Challenge inside the Loskop Nature Reserve. Marketing Executive of Forever Resorts, Heidi Halgryn says road users are requested to use other alternative routes either to Middleburg or Groblersdal. “The road is closed from tomorrow (Saturday) morning at six o’clock and it will only open again at one o’clock tomorrow (Saturday) afternoon. The marathon race starts at six o’clock tomorrow (Saturday) morning, shotgun start to the MEC of Mpumalanga Sports, Culture and Recreation Thandi Shongwe and the Mayor of Steve Tshwete will also be there opening for the start of the race. This entry was posted on 13 Apr 2019,07:02AM at 7:02 AM and is filed under Sport, Homepage Latest Stories Slider. You can follow any responses to this entry through the RSS 2.0 feed. Both comments and pings are currently closed.